It's a new day, new month, and a new year. The weather outside is perfect. The sun is out, the moisture is low, and the wind is just right. And I get to see all of this from my office window. I'll be out of here by 1PM today, I have a dentist appointment at 2PM. And I've been craving sushi all week! Unfourunately I won't be able to eat anything without my braces reminding me of the pain, untill two or three days later. Time to get back to work. I have alot of work on my desk and due to Easter I only work half the day tomorrow and I hate leaving unfinished work on my desk. I forgot about this picture here. 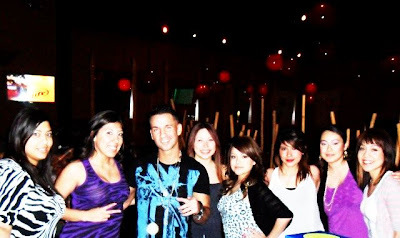 We were out for my sisters birthday about two weeks ago, enjoying the best sushi in Houston, Ra of course, and Mike from Jersey Shore showed up there. 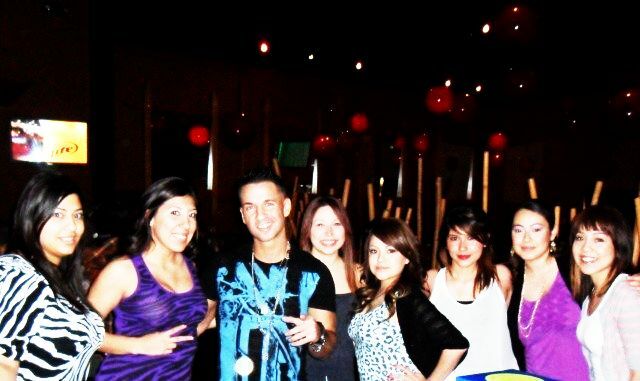 We took a group picture with him. Very nice, down to earth kind of person. Guess we had a situation of our own. Peace.